Led by Dale Salwak of Southern California, the delegation included Rich Bloch of Washington, D.C., Danny Cole of Southern California, and their assistants Ryan Salwak and Stacey Cole. The group departed from Beijing and arrived in Pyongyang the same day for performances in North Korea’s capital over the following week. 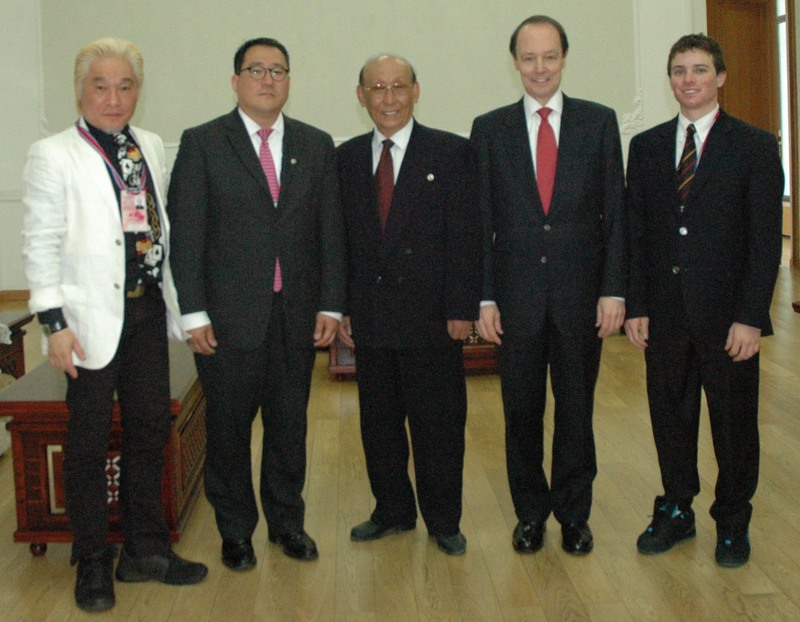 The groundwork for this visit was laid by Salwak during two previous visits to North Korea: In 2009 when he was the only American magician to perform at the national birthday celebration for the country’s revered founder, Kim il-Sung, and in 2011 when he was invited to view and meet North Korea’s lead magicians in their spectacular “Grand Magic” show in the 150,000 seat Rungrado May Day Stadium. 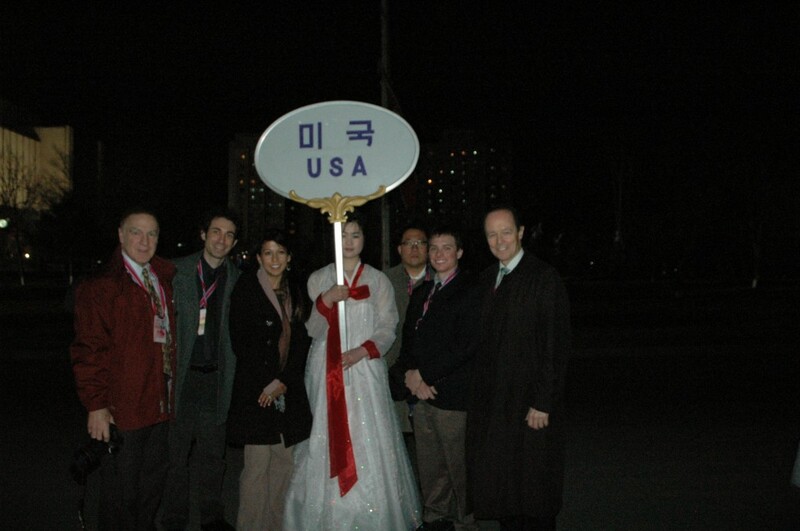 American delegation prior to the opening ceremonies in North Korea (From Left): Rich Bloch, Danny Cole, Stacey Cole, Jae Hwe Ku, Ryan Salwak, Dale Salwak. North Korea’s lead magician, Kim Taek Song (center) after discussing a future cultural exchange with (From Left): Yuji Yasuda, Jae Hwe Ku, Dale Salwak, Ryan Salwak. This entry was posted in Magic News. Bookmark the permalink.